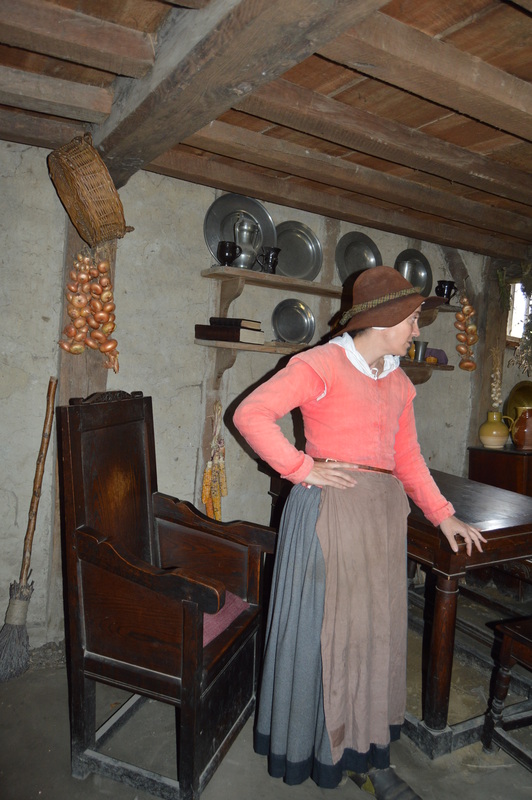 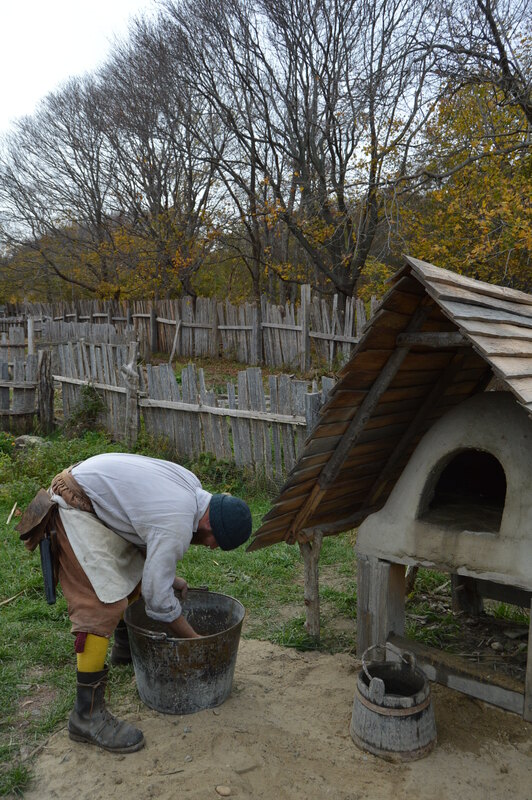 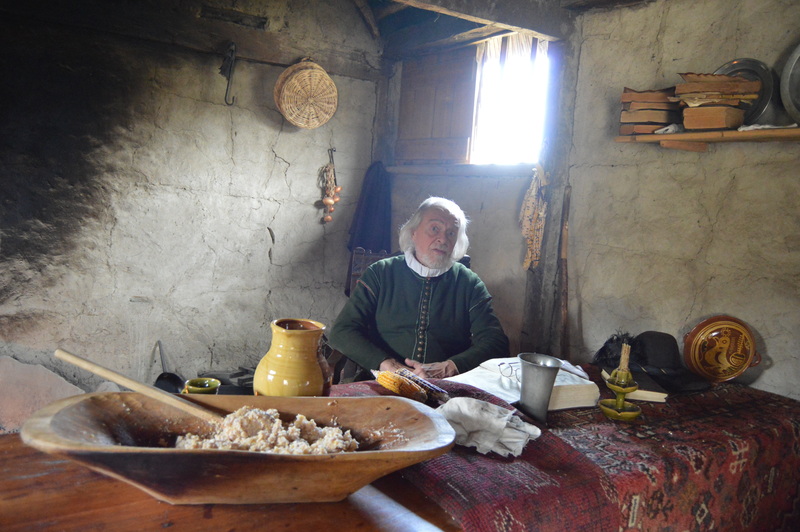 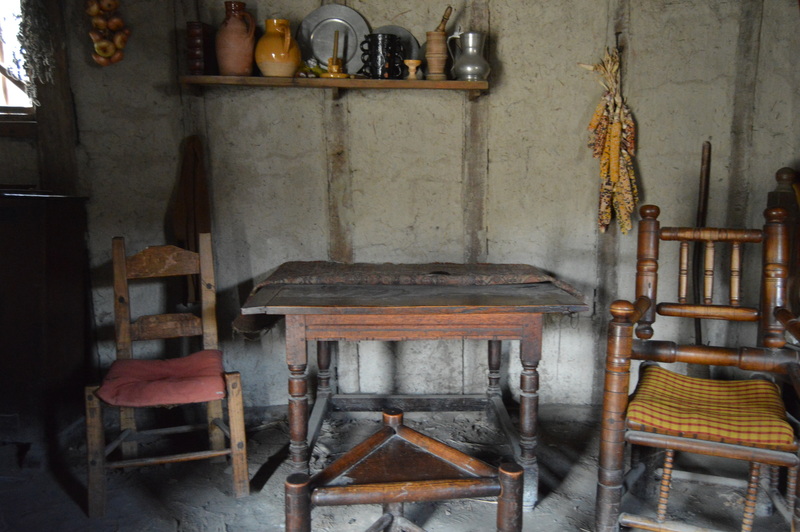 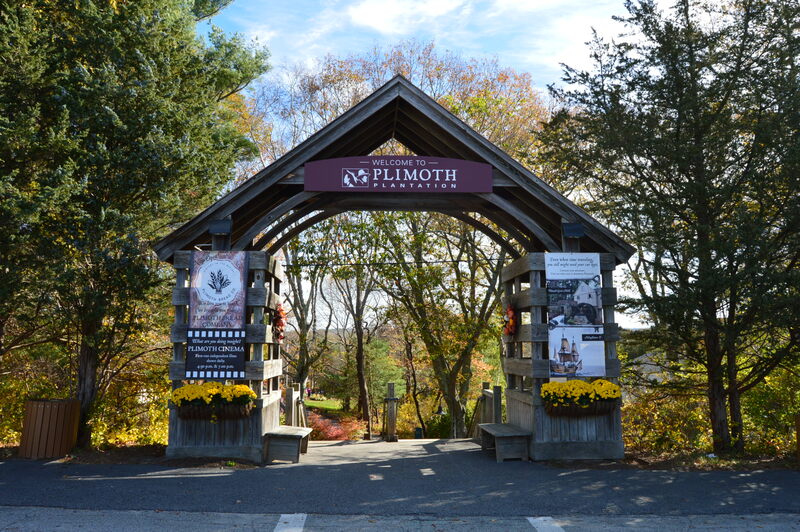 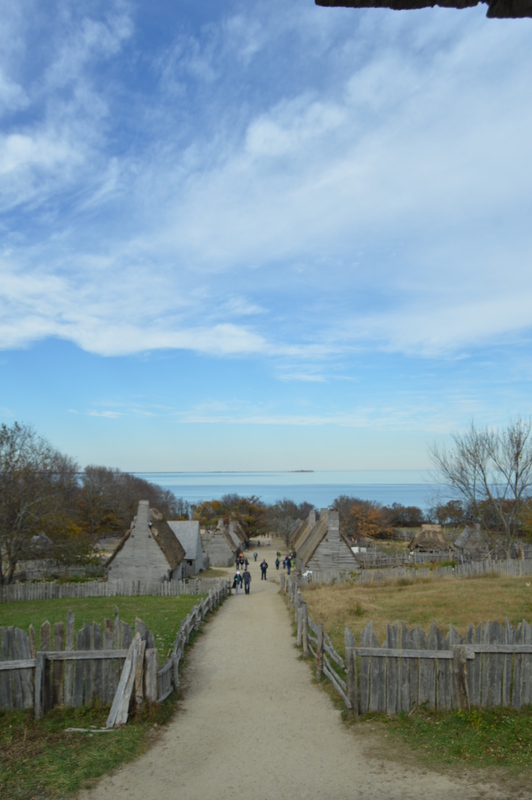 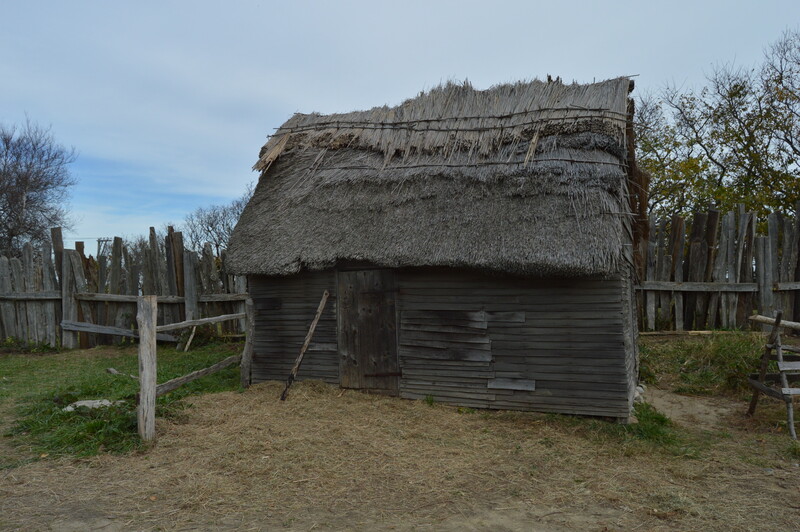 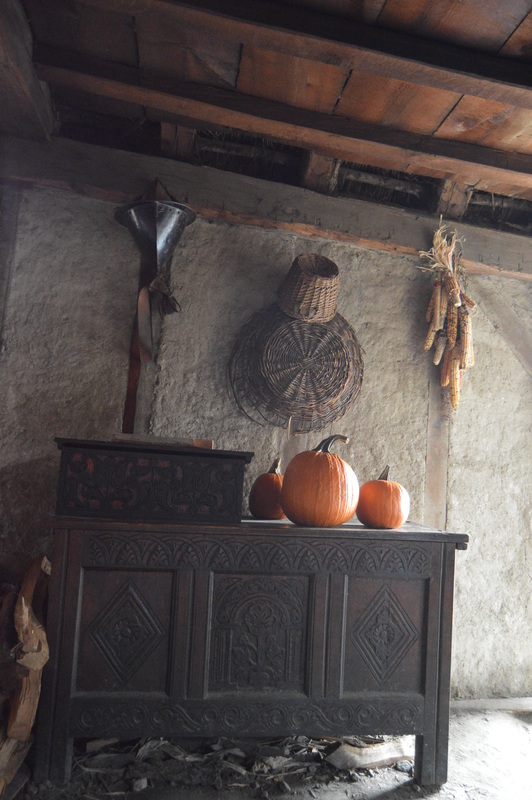 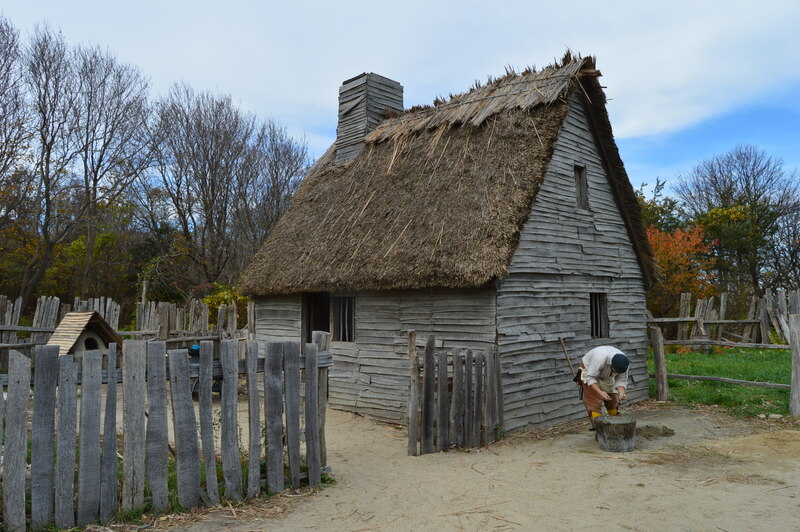 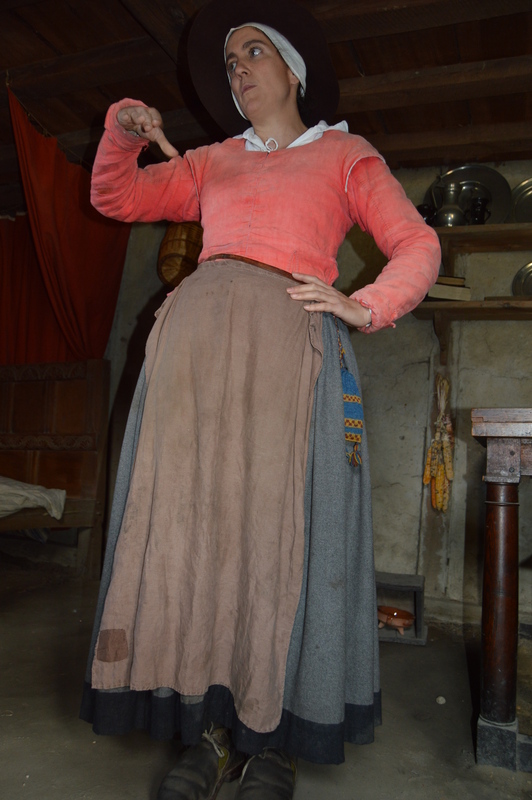 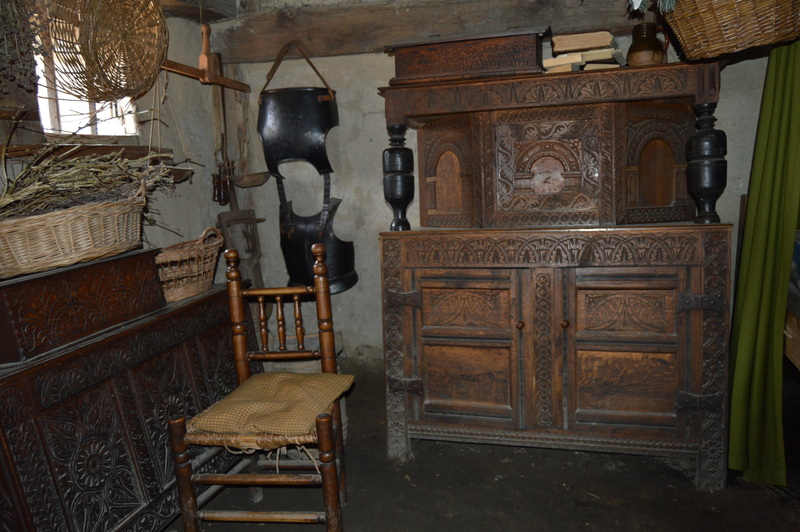 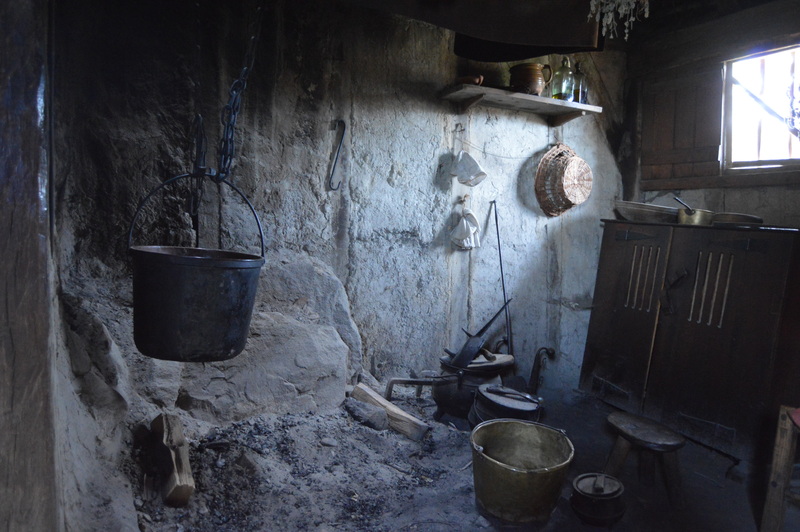 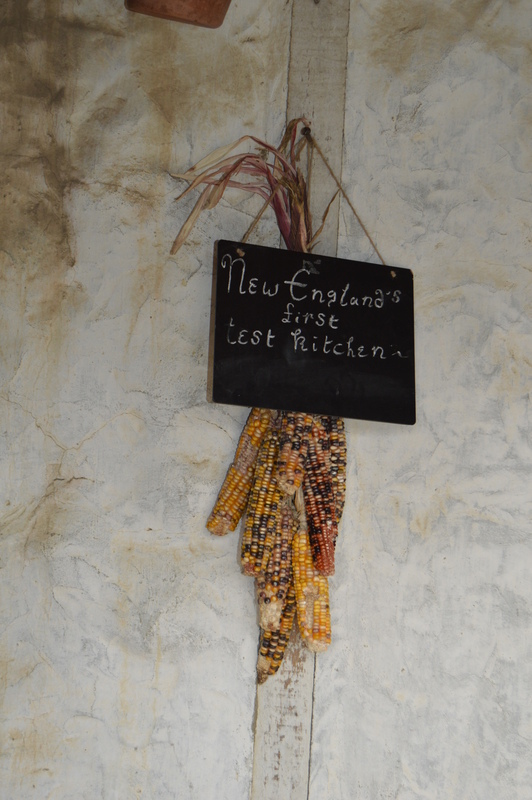 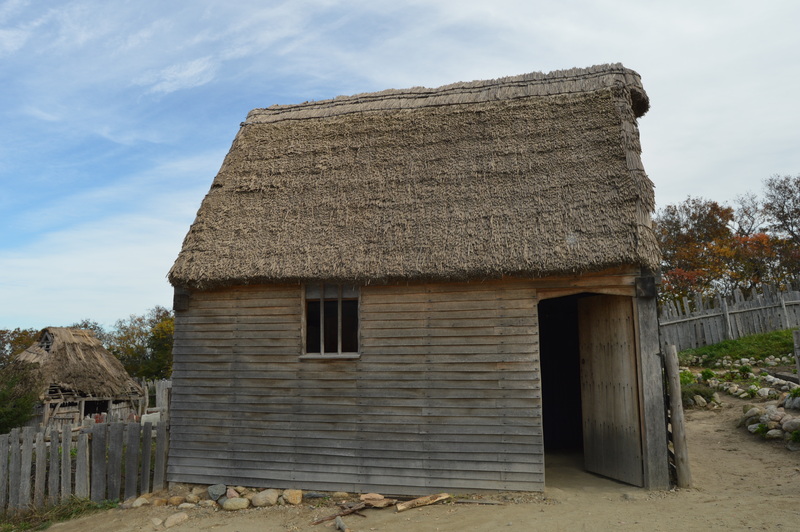 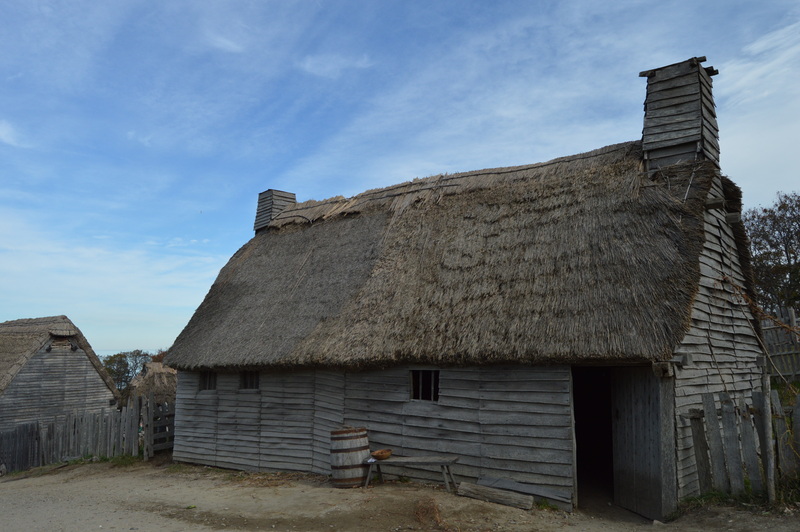 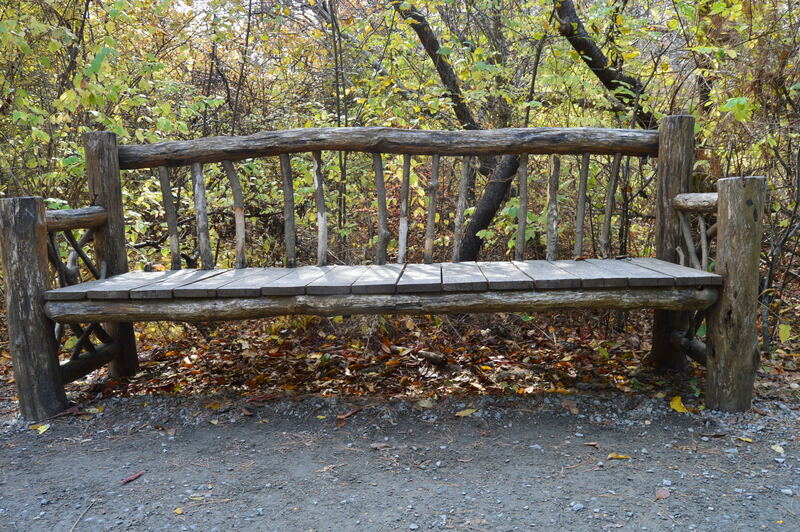 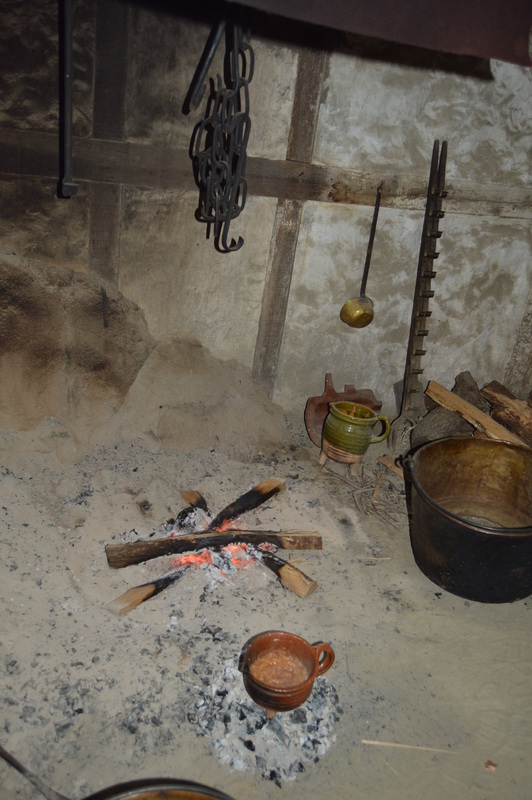 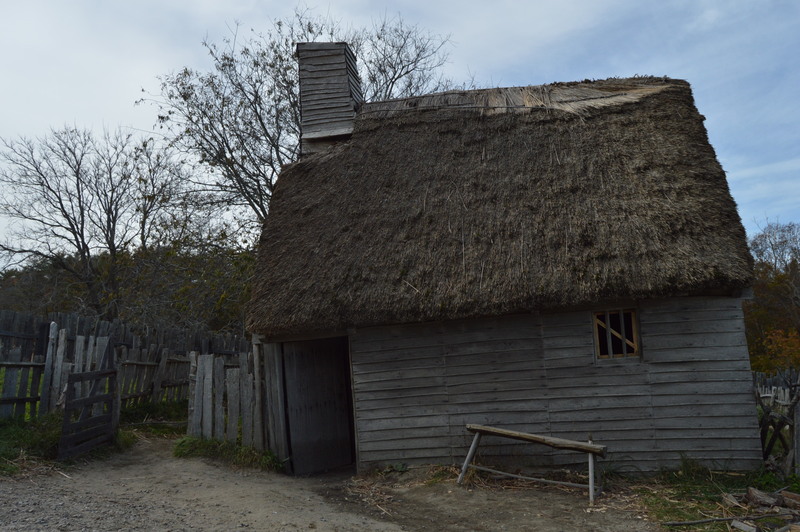 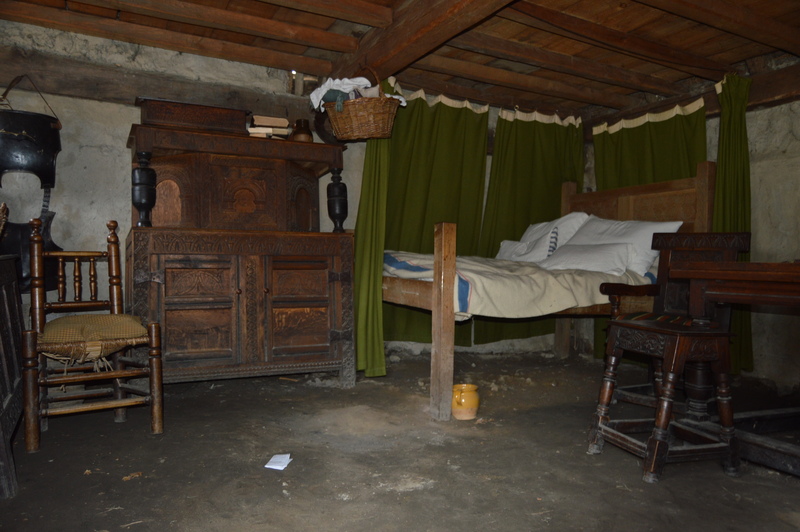 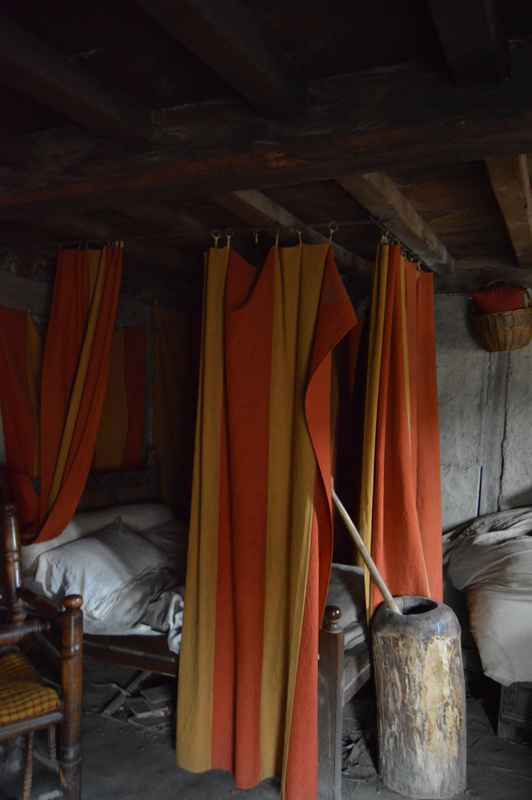 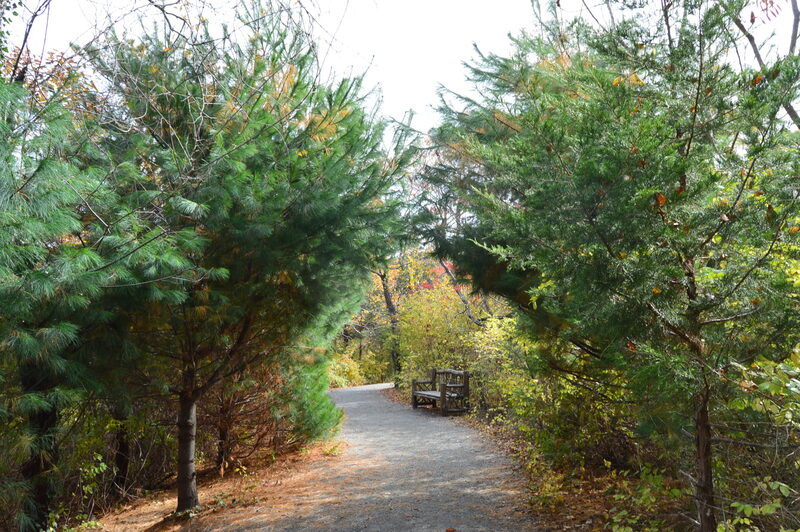 Walking into Plimoth Plantation is like walking back in time. 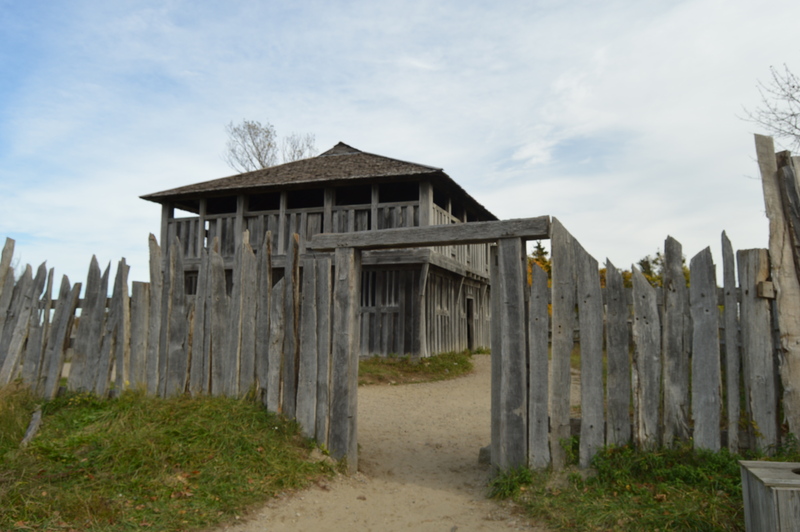 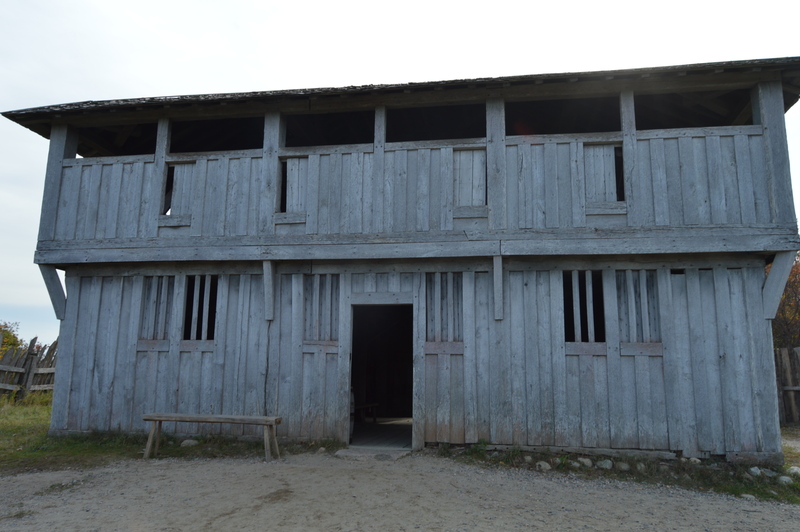 The constructed plantation is both educational and entertaining. 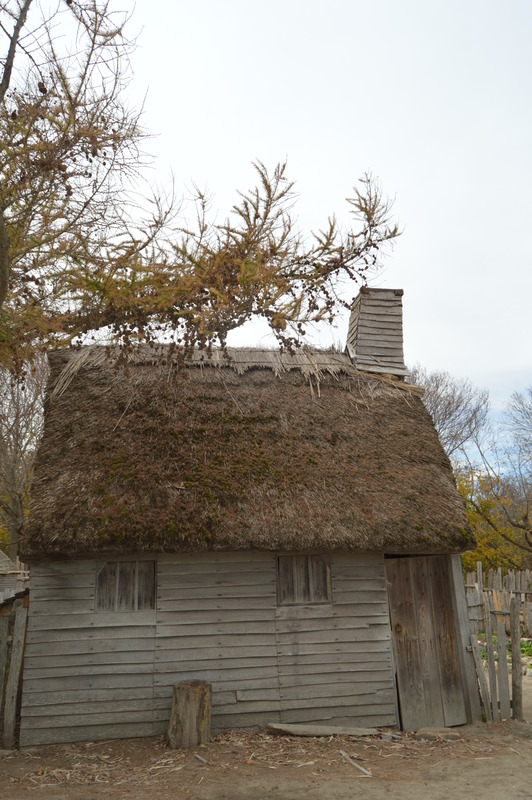 A short video running in the visitor center runs on a loop and gives you some background of the plantation. 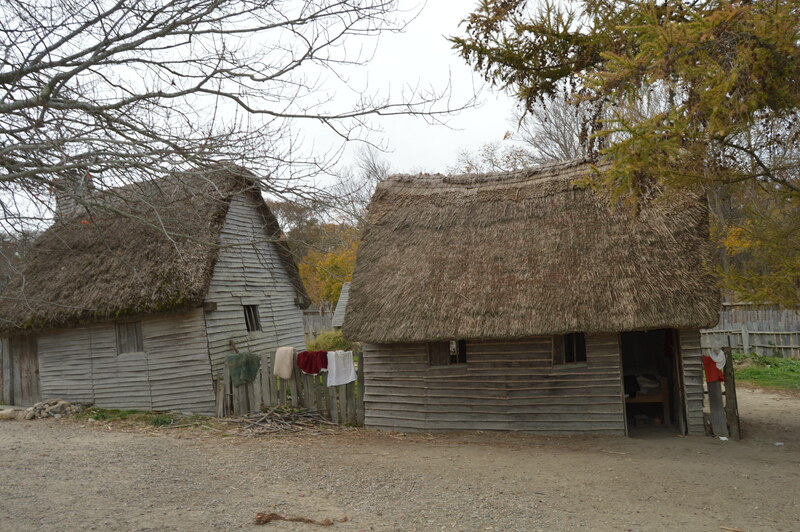 It also gives a little history of the historical of the place a history of the area. 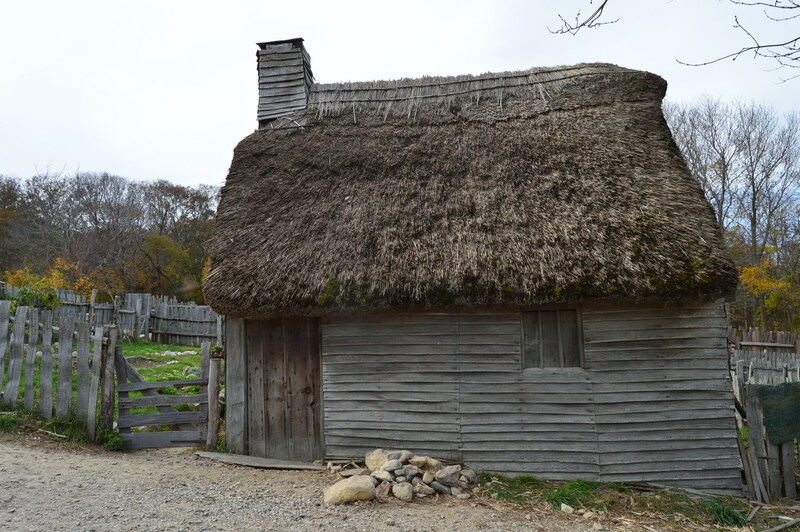 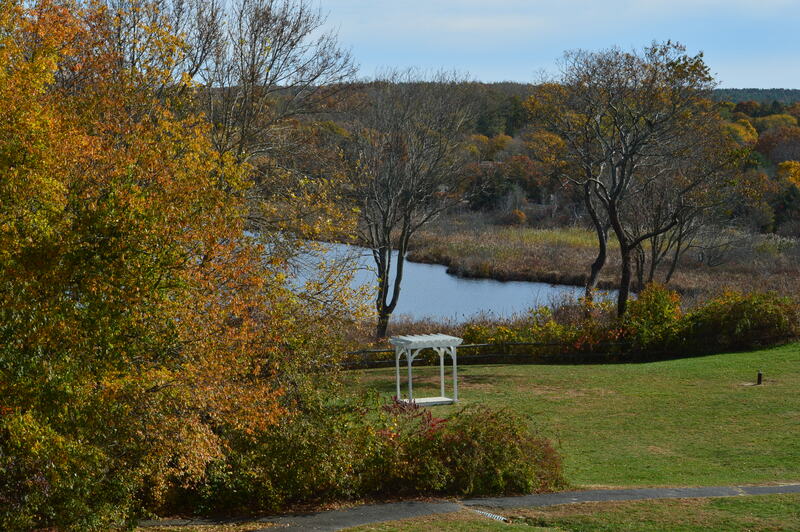 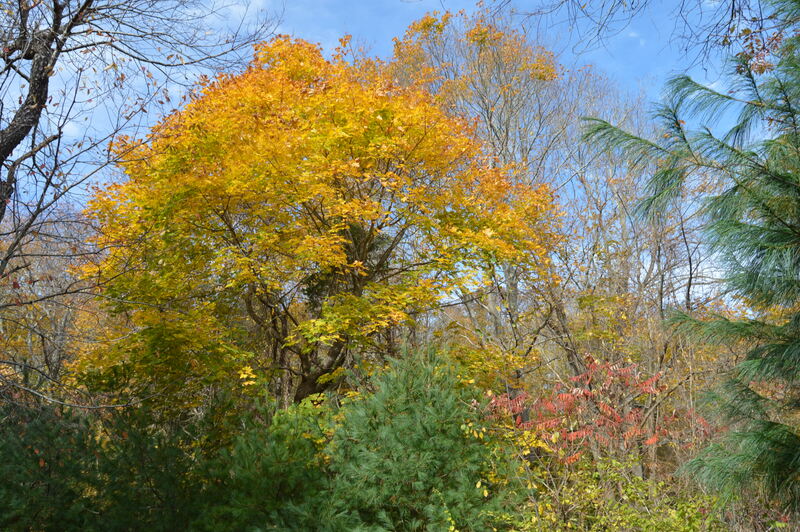 The plantation is divided into two sections: the Wampanaog Homesite and the Colonial English community of the 1600’s. 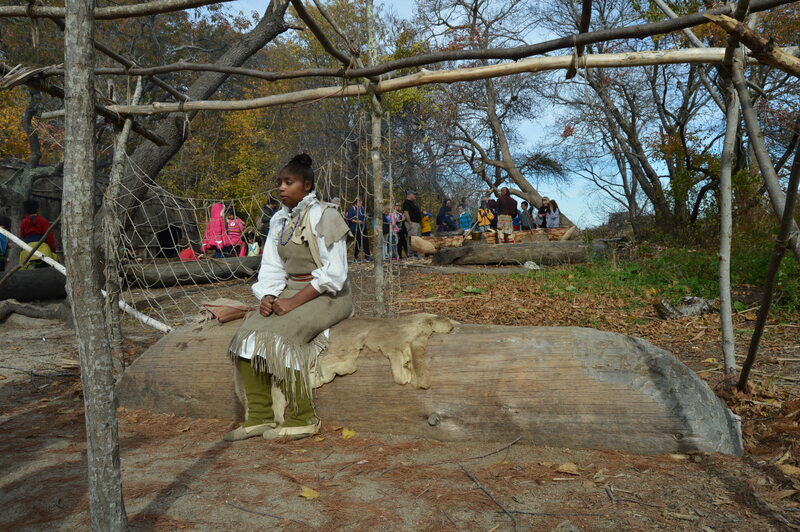 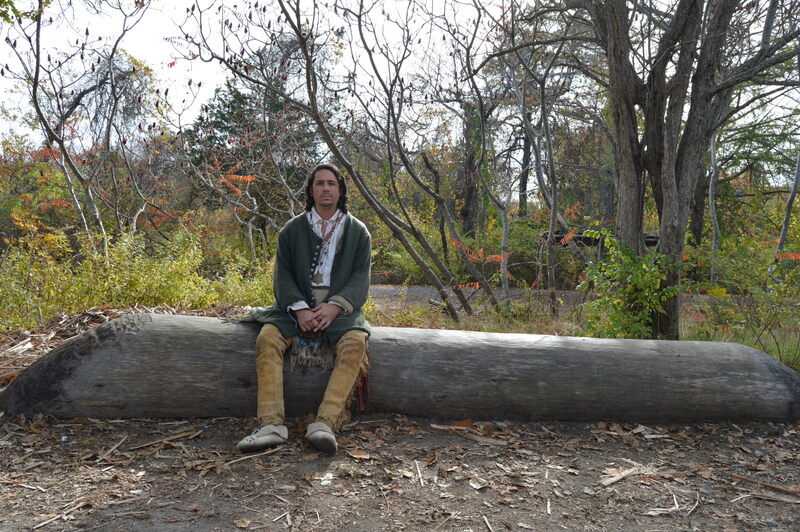 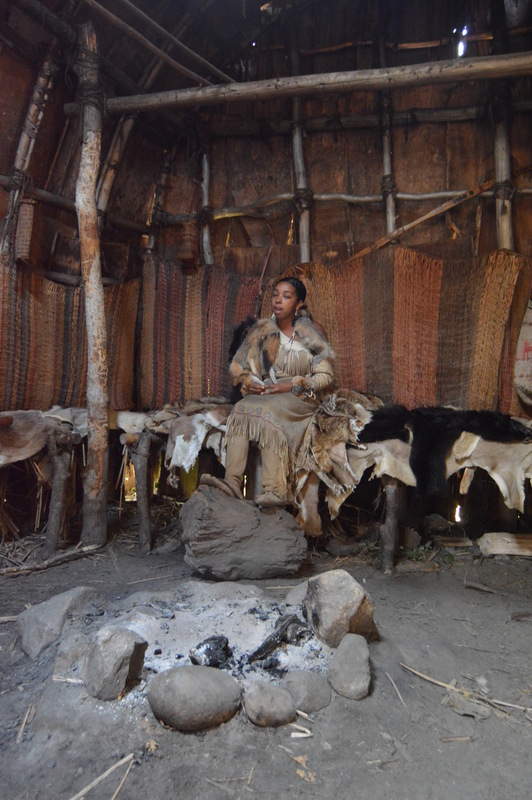 All of the people on the Wampanaog Homesite are Native Americans (they’re not actors or re-enactors). 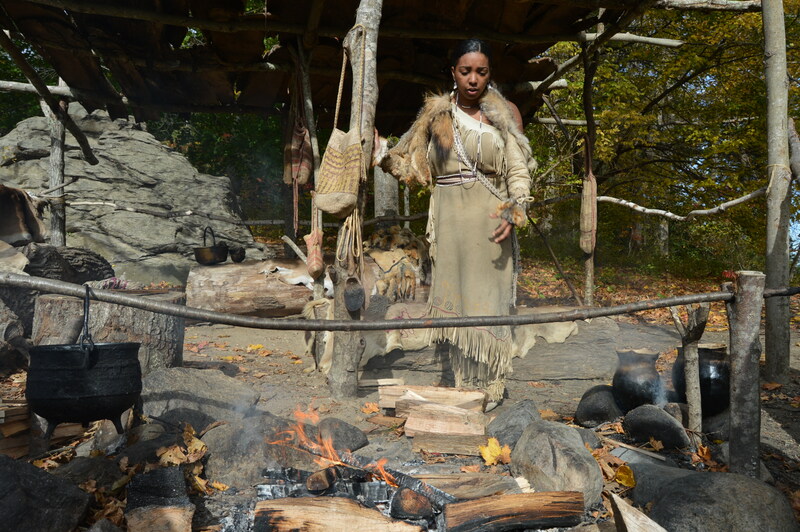 They are from the Wampanaog tribe or one of the other tribes indigenous to the Plymouth area. 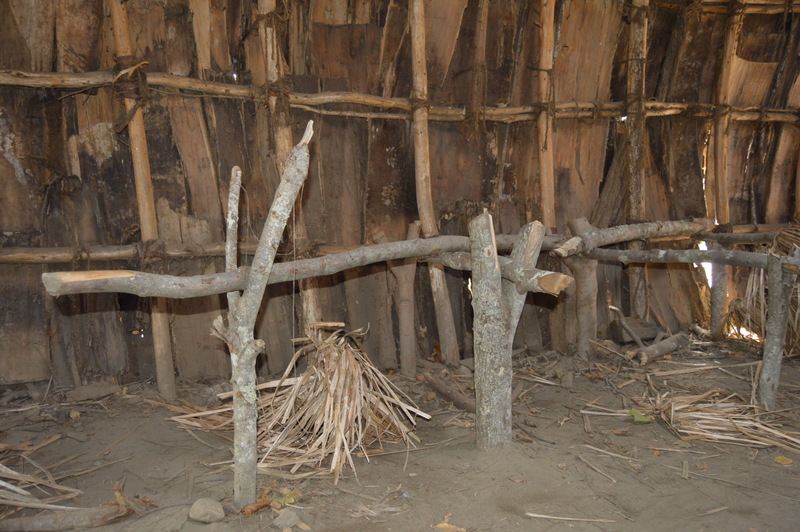 A cutout on the trail before you reach the Wampanoag Homesite reminds visitors that not every native American “is the same”. 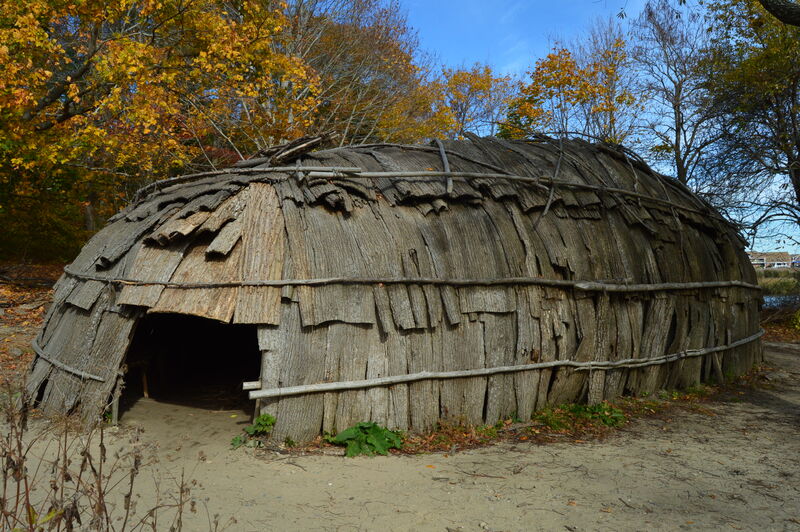 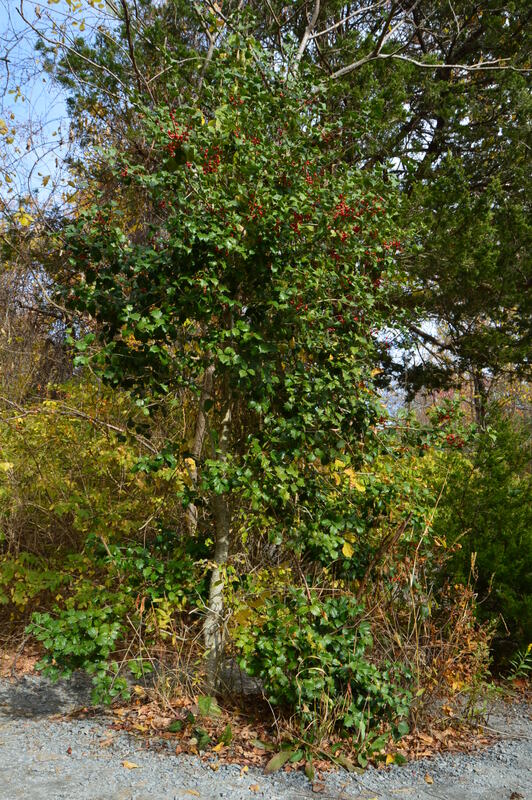 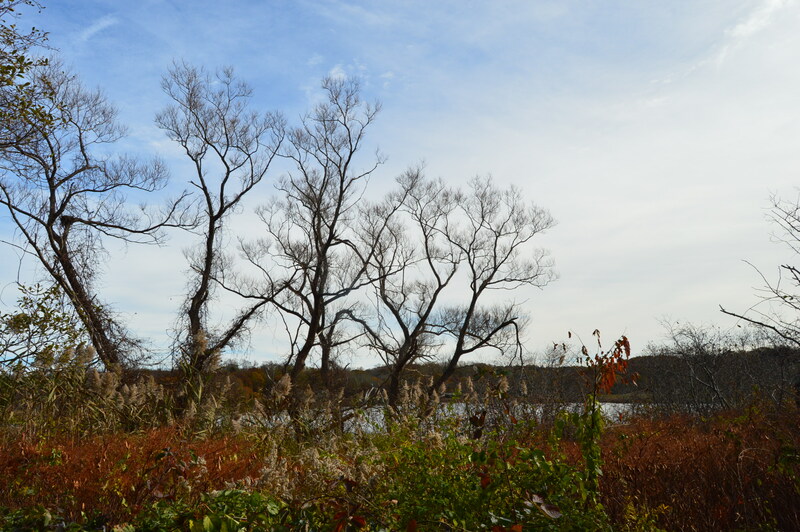 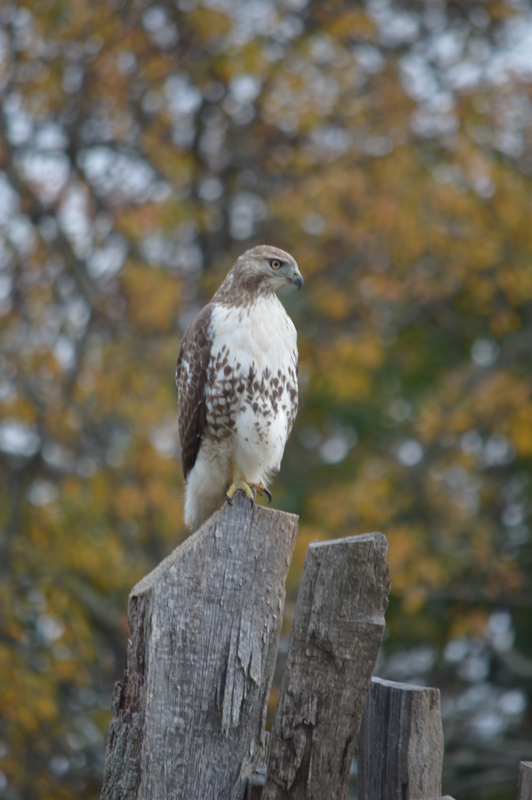 While most of the people residing at the Homesite are Wampanoag, not all of them are. 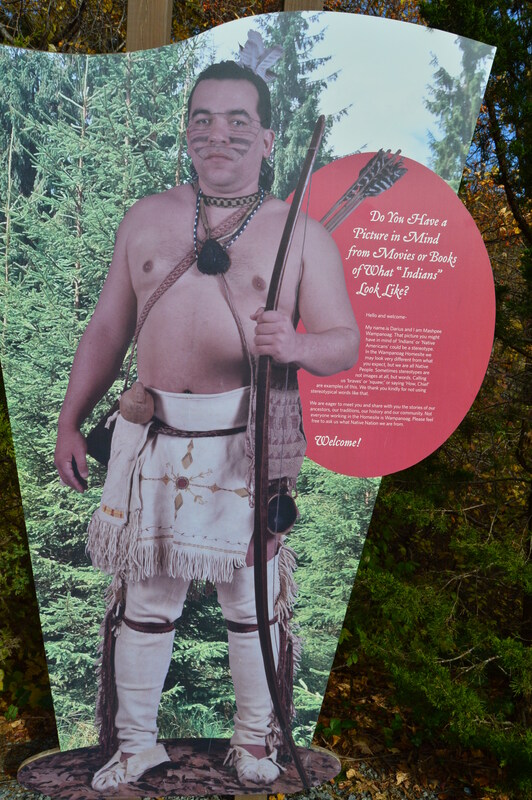 Also, the cutout reminds people to not call the people “braves” or any other demeaning and sterotypical term as they are not considered compliments or polite ways to address the people there. 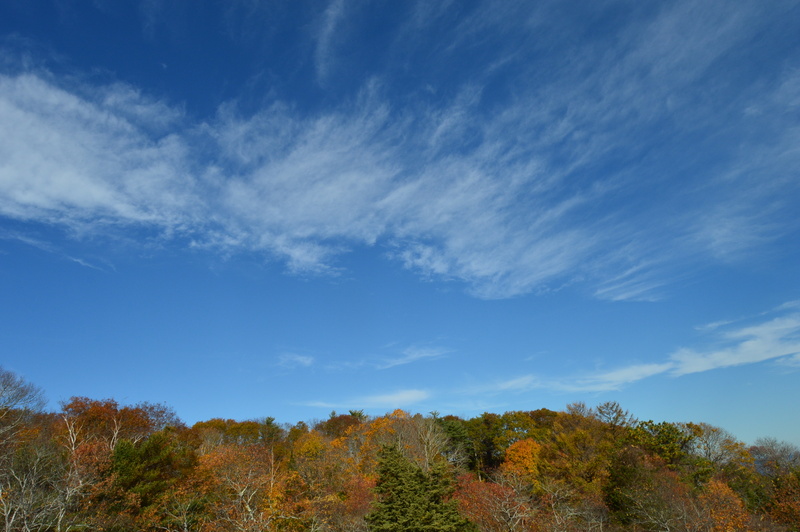 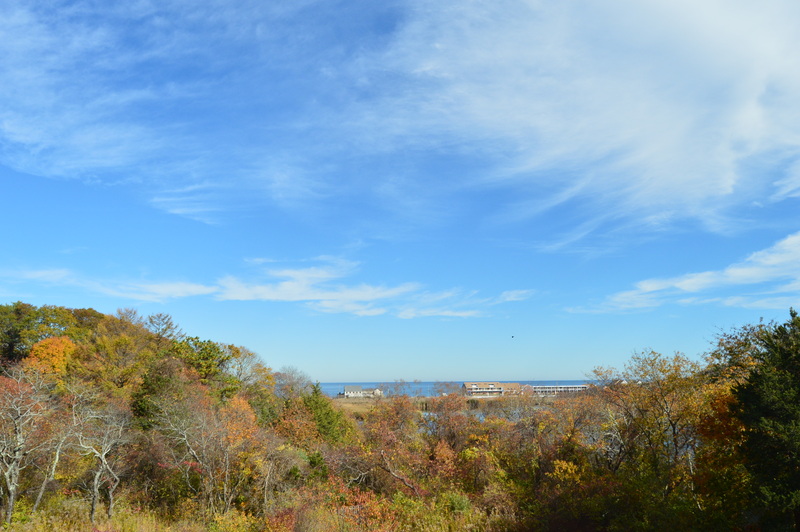 The views on the way to the Homesite and at the main visitor center are very pretty. 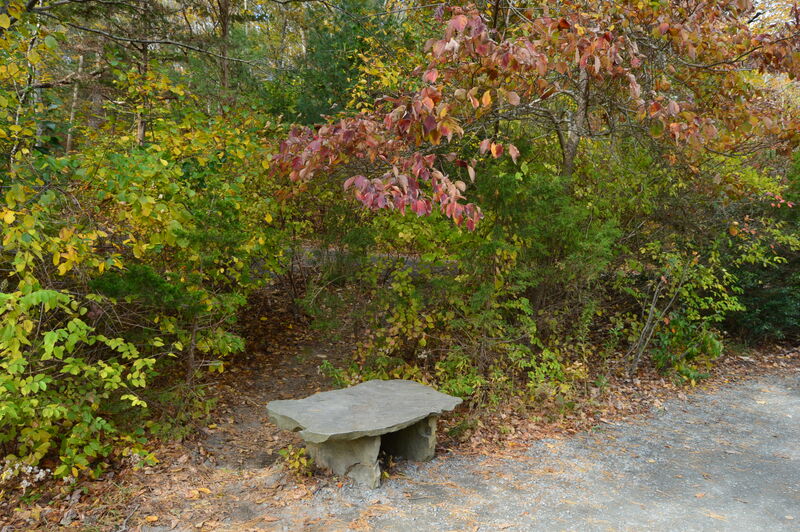 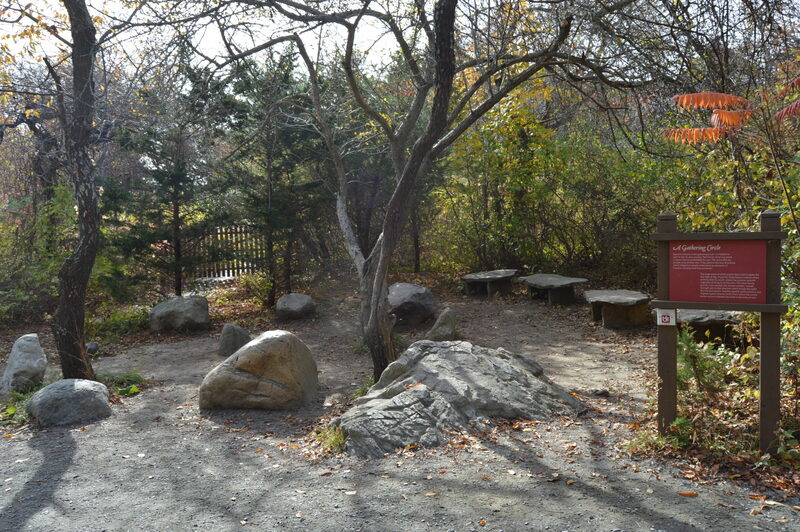 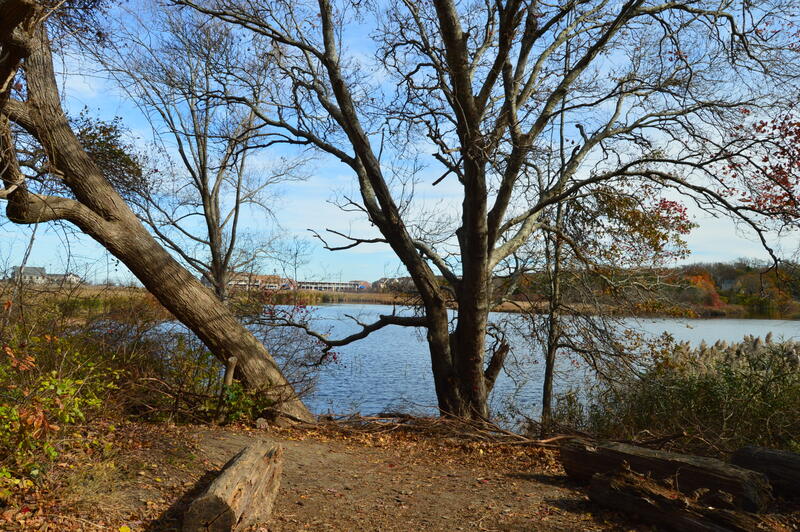 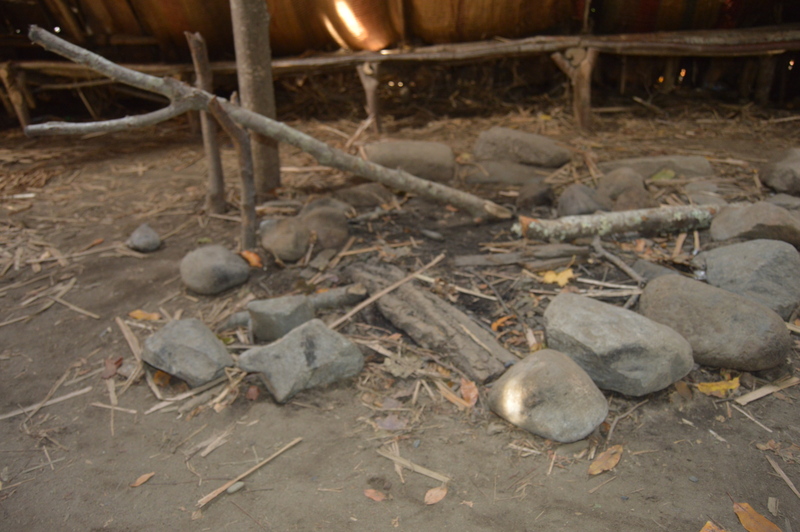 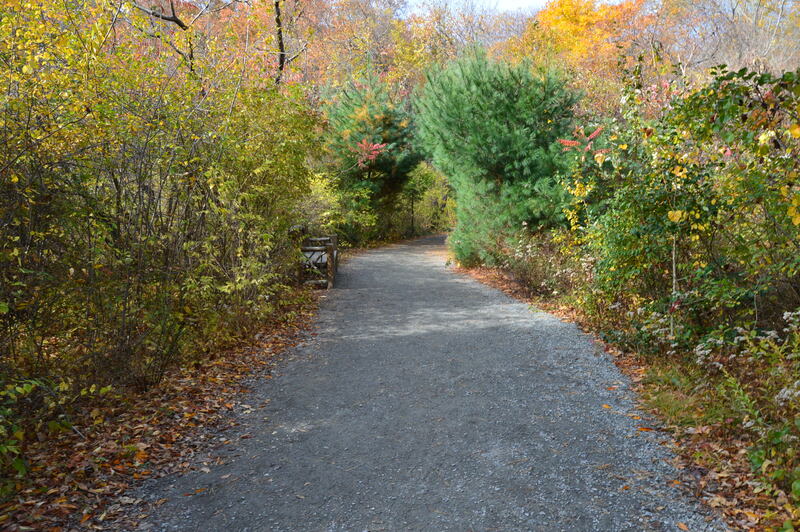 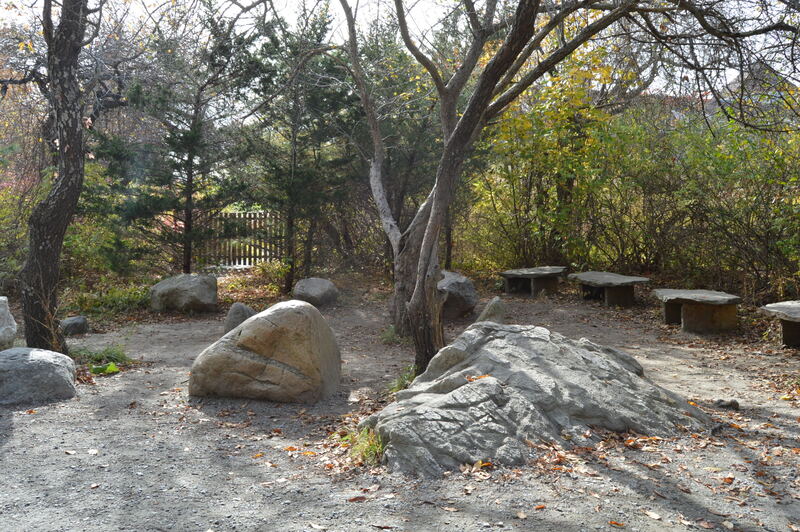 This is a Gathering Circle located on the trail to the Wampanoag Homesite. 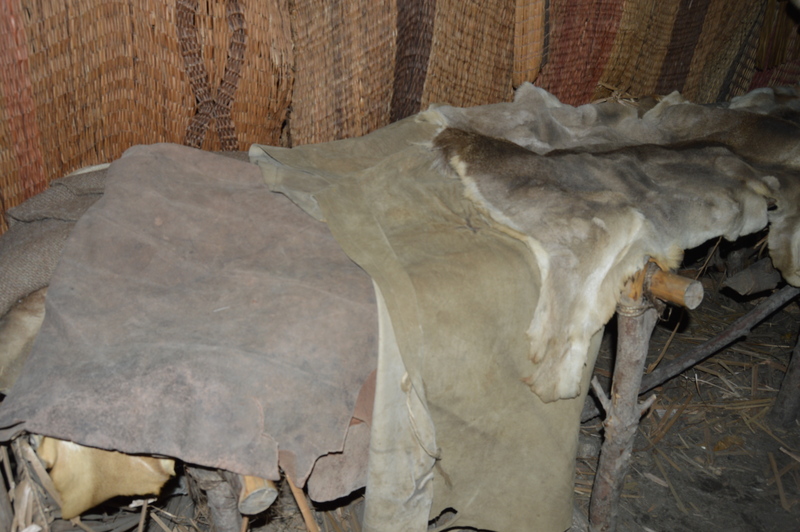 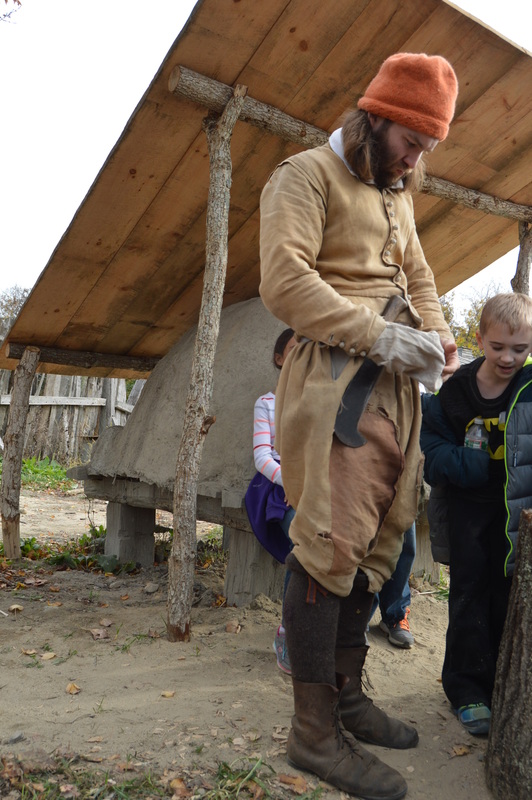 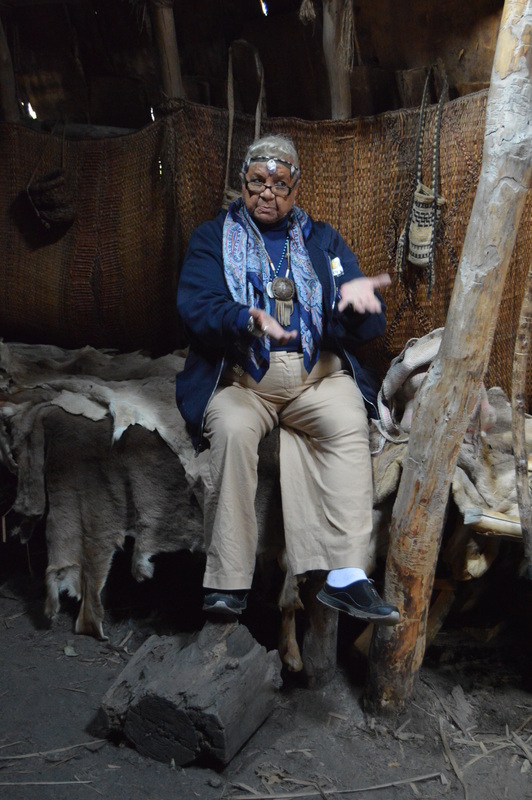 The Native Americans at the Homesite tell stories about their life there and describe what tasks they are completing. 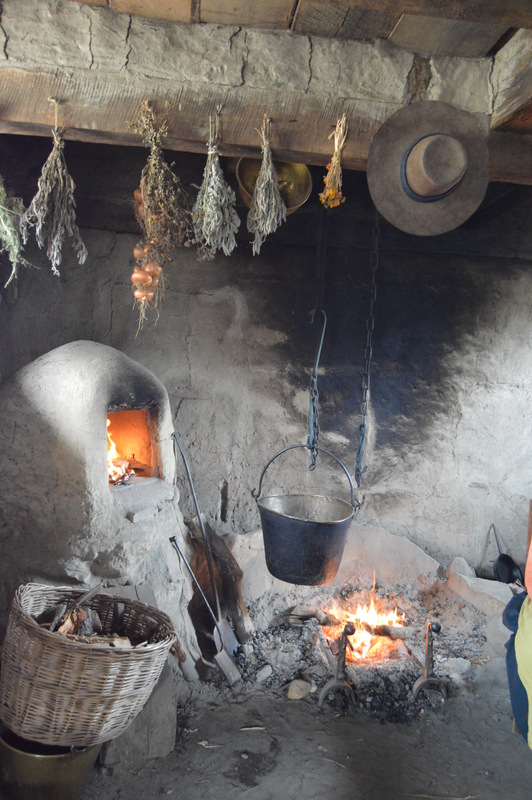 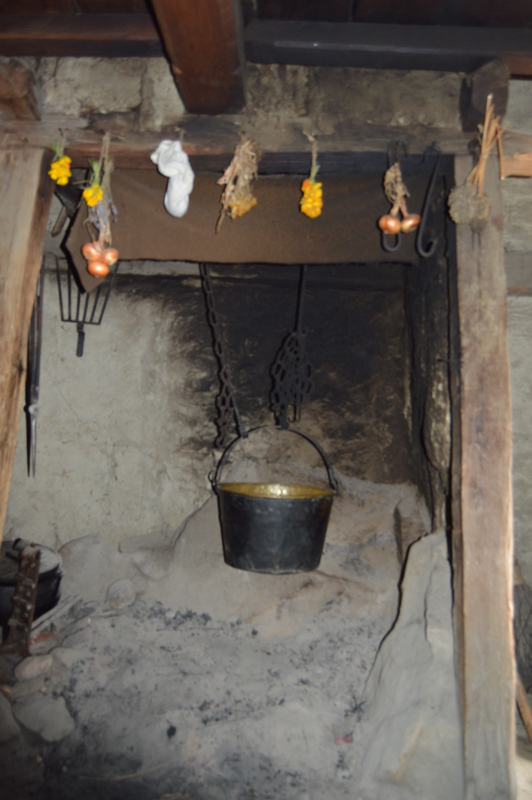 This woman was showing how they cook their food and answering questions from the visitors. 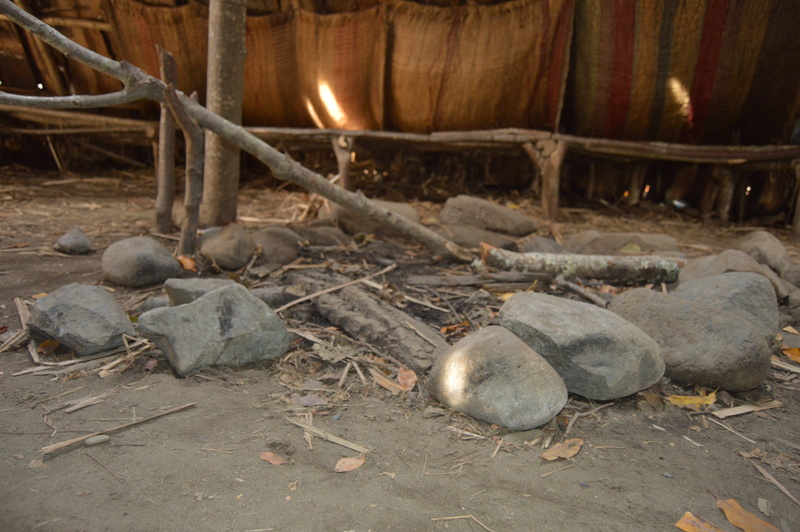 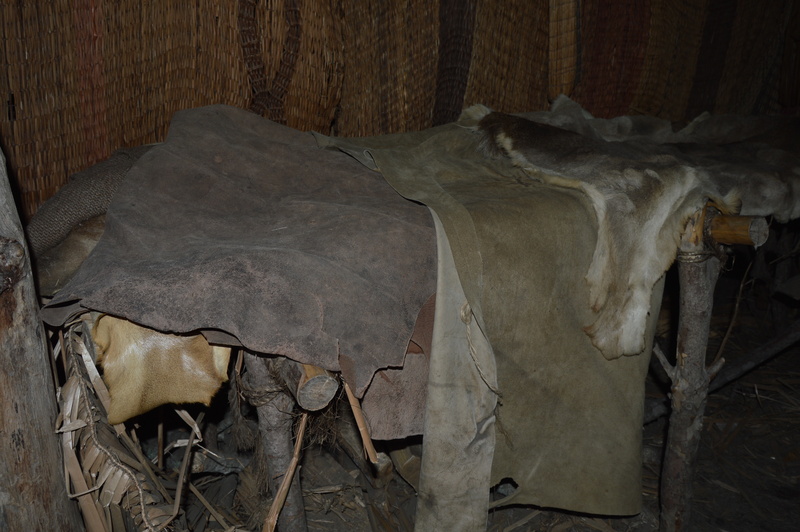 The Native Americans answer questions inside one of the wigwams at the plantation. 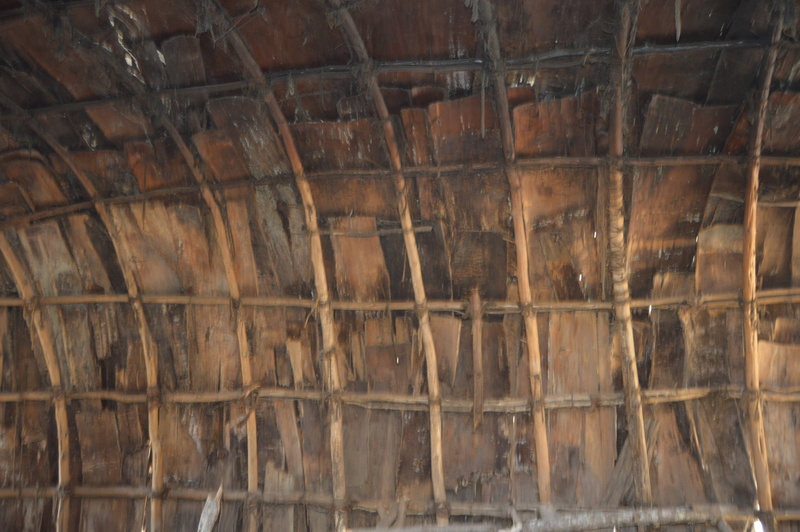 These men were hollowing out a boat. 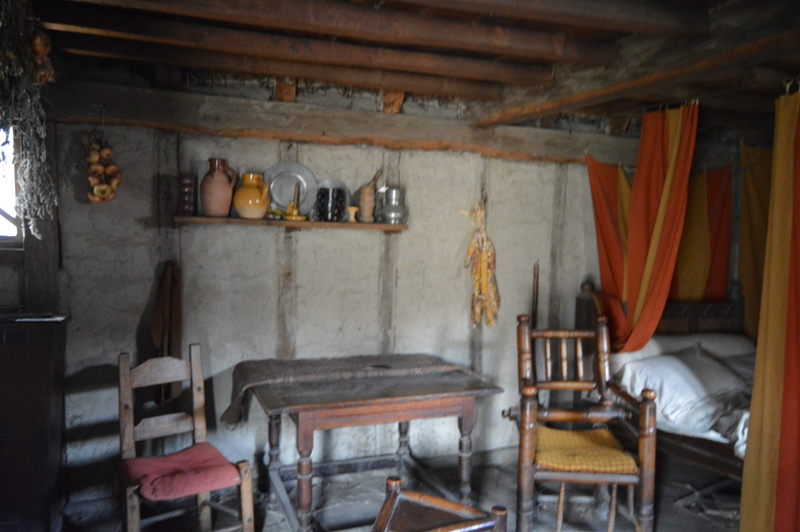 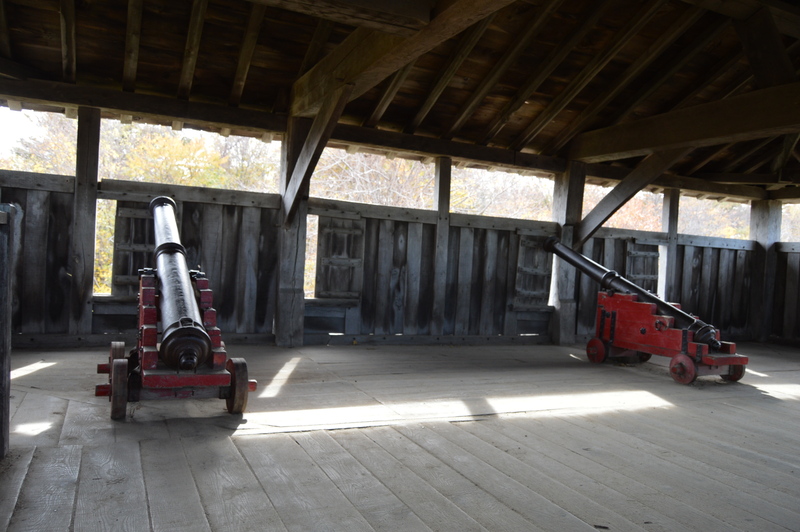 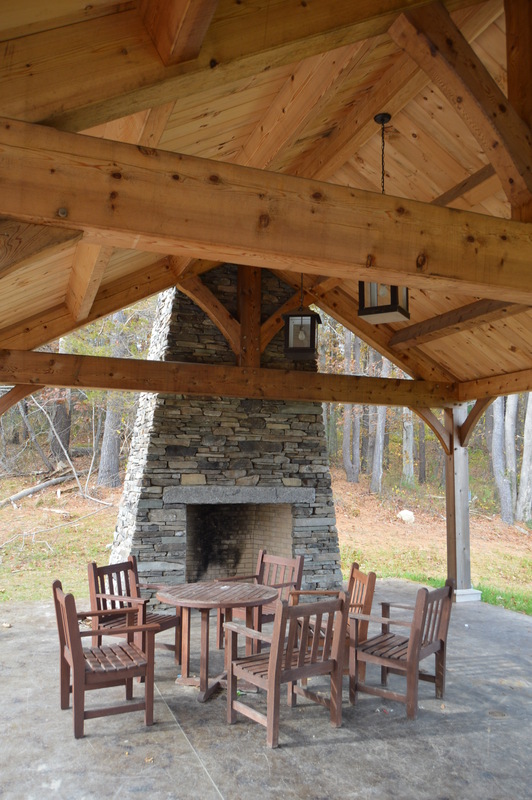 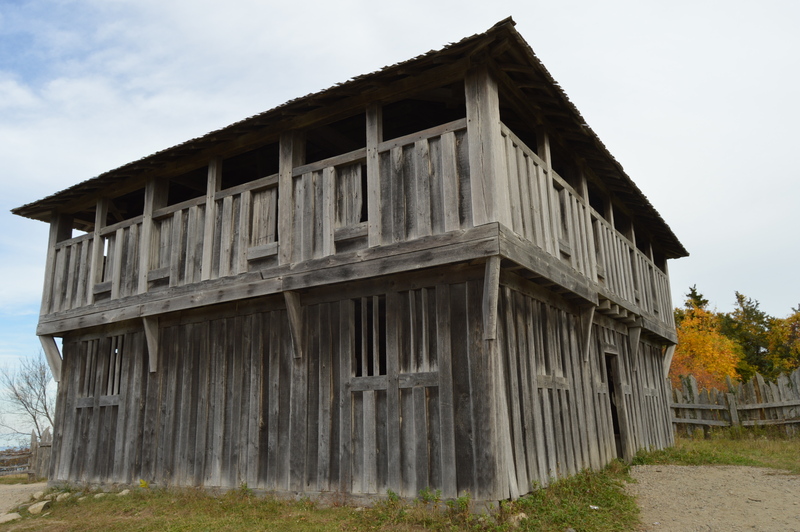 There are structures made with the same materials and the very same way they were built in the 1600’s and earlier. 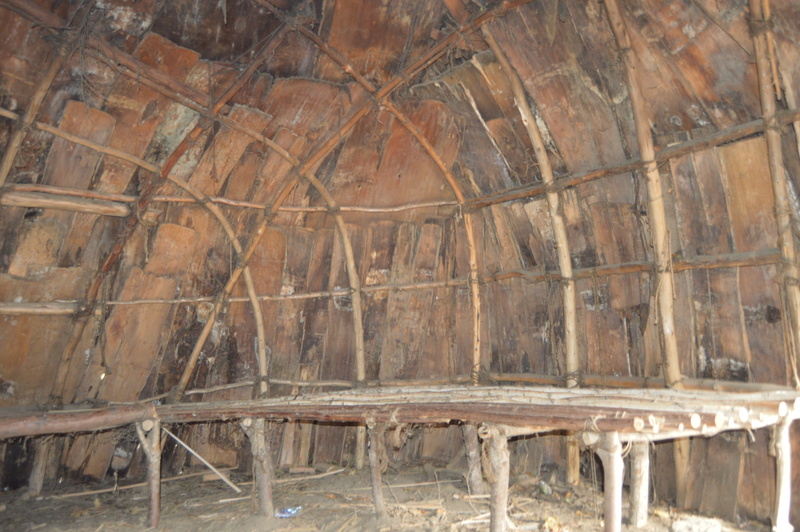 This is a meeting room where elders and the rest of the people would meet to discuss issues affecting the community. 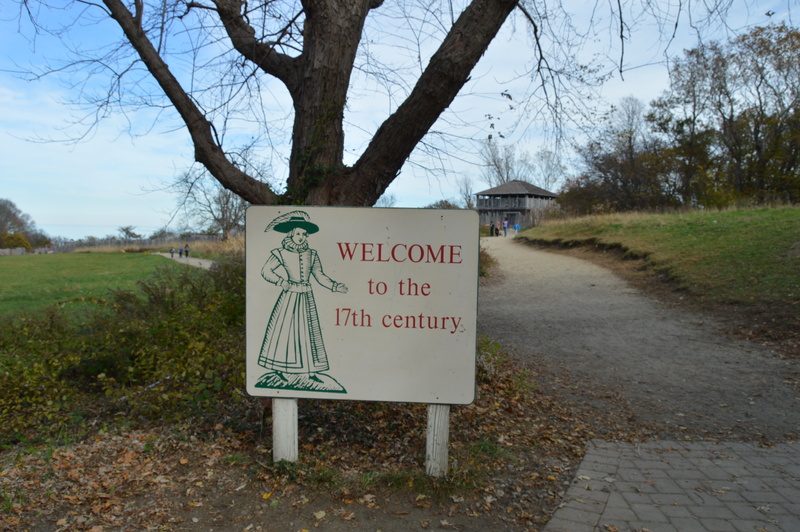 Everything past this sign is pure 17th century. 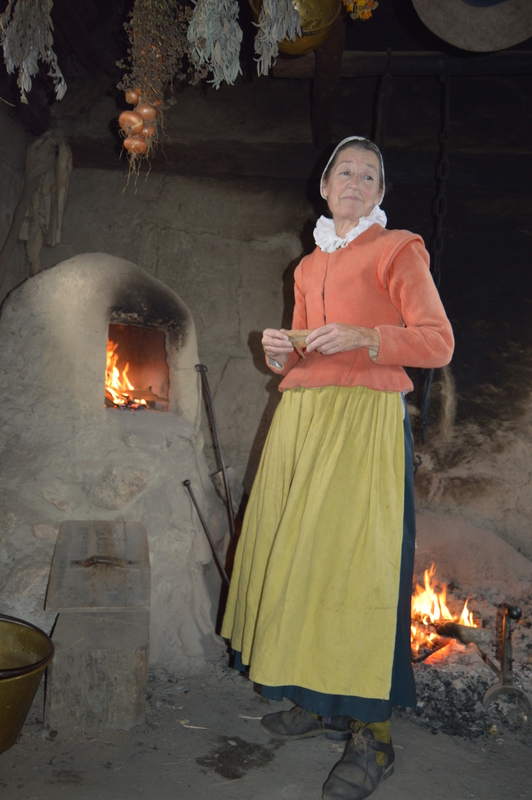 The structures, the clothing the people wear and the way the people speak are all from the 1700’s. 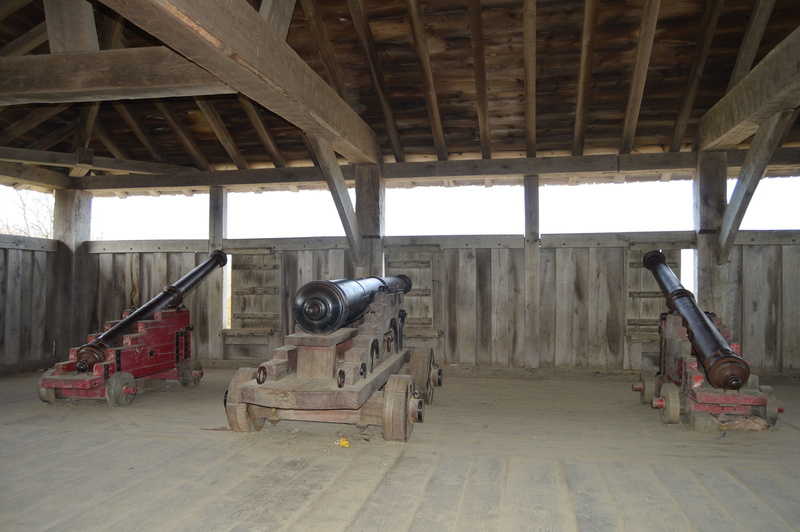 This fort acted as a lookout. 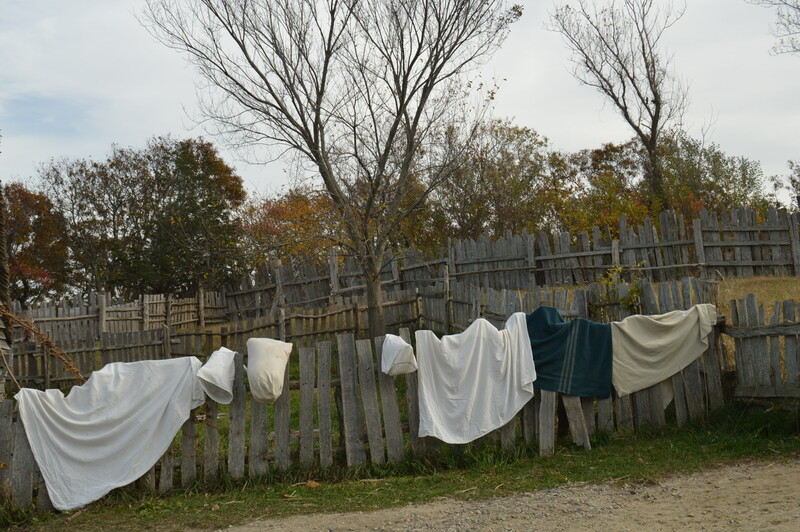 The people even wash their clothing the old way. 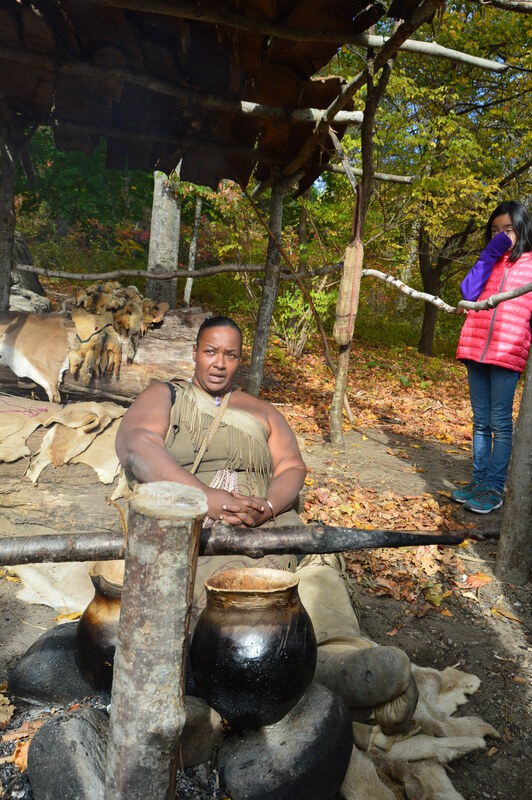 This woman said “My Christian name is Sarah” when I asked her what her name is. 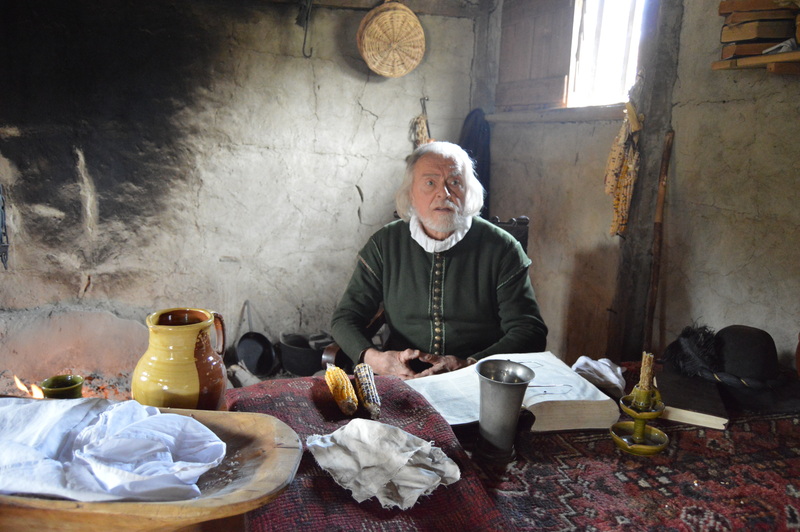 This man and his wife were getting ready for dinner when I stopped by. 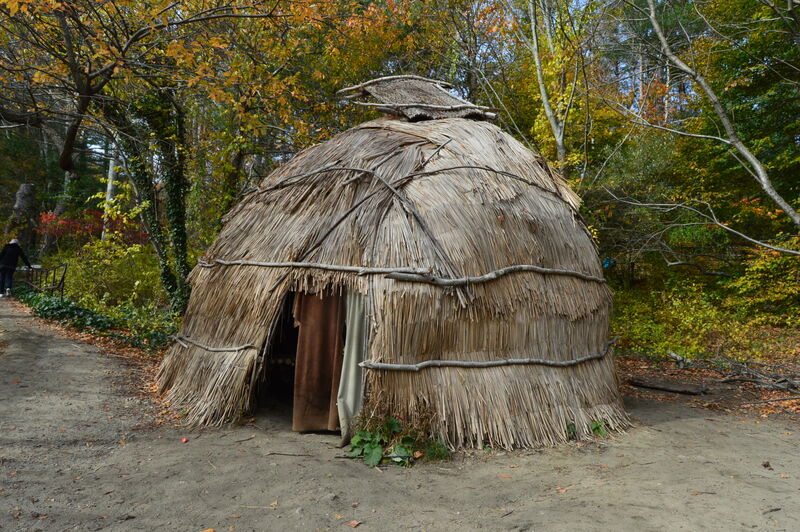 it looks like a cozy little place. 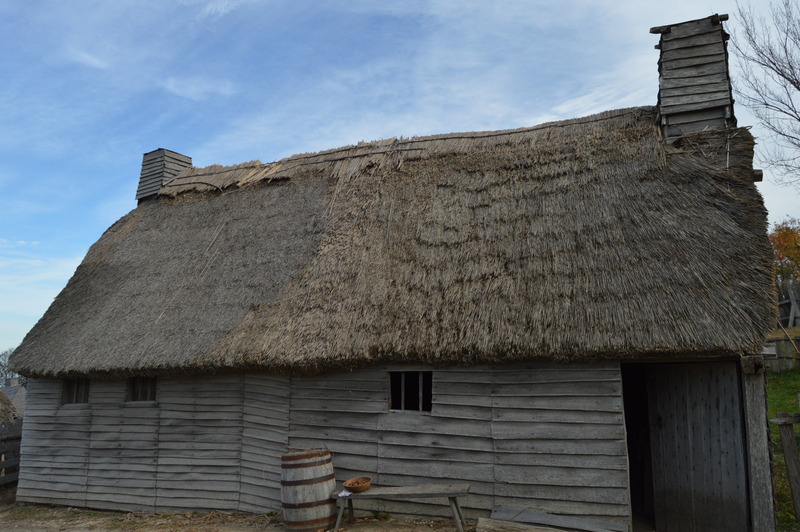 There are also actors walking throughout the plantation. 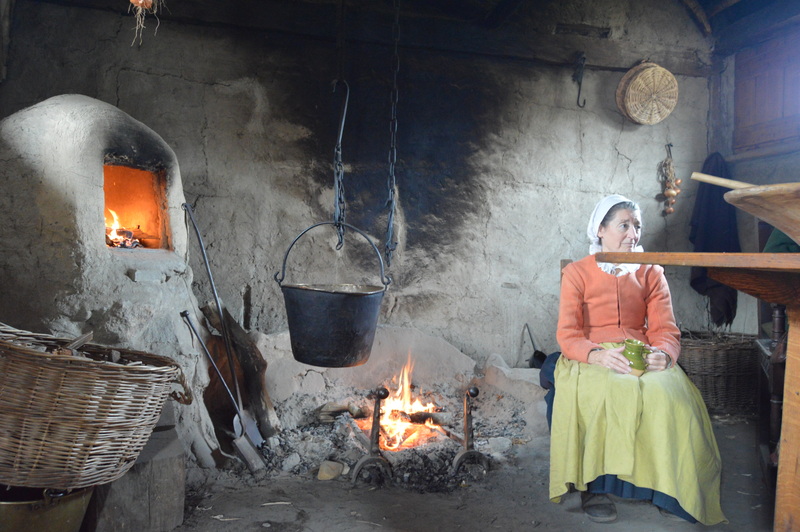 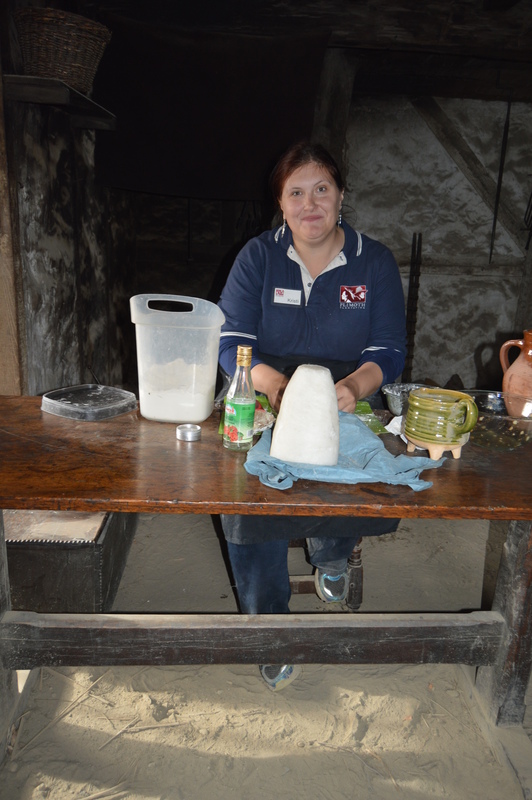 This woman was making apple tarts, the old fashioned way. 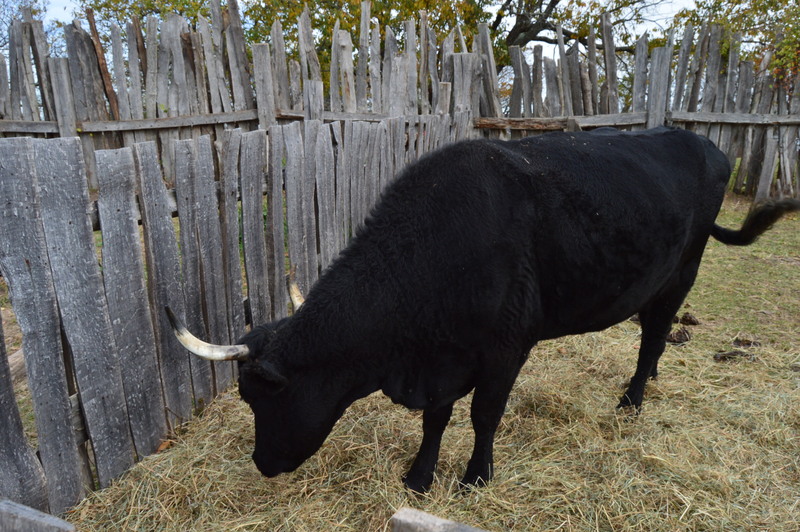 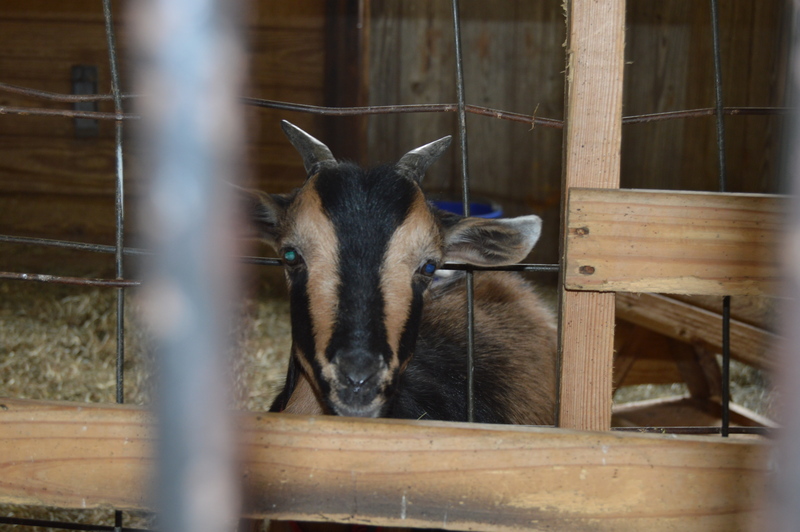 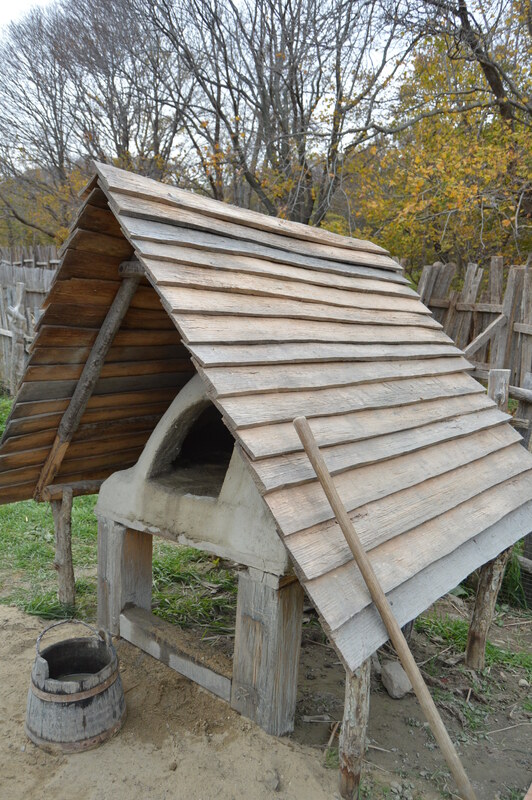 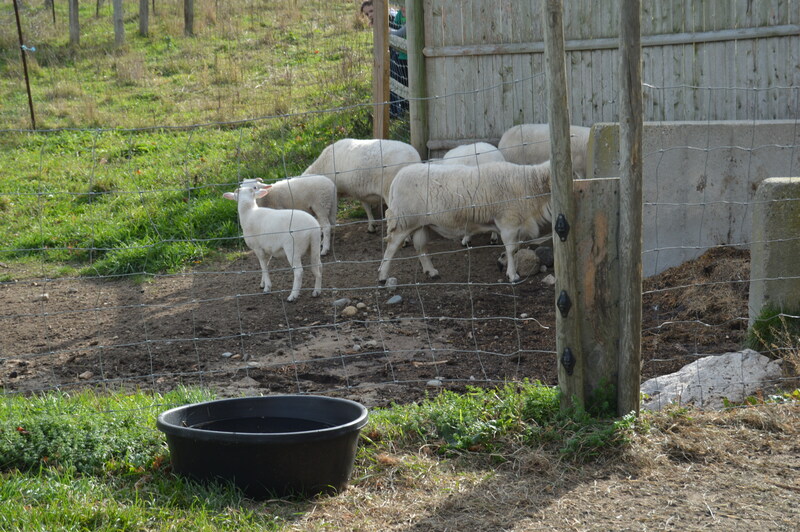 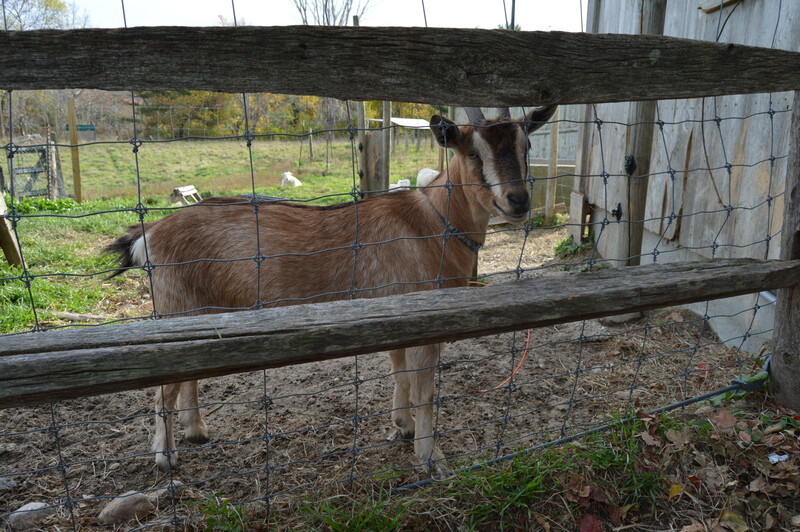 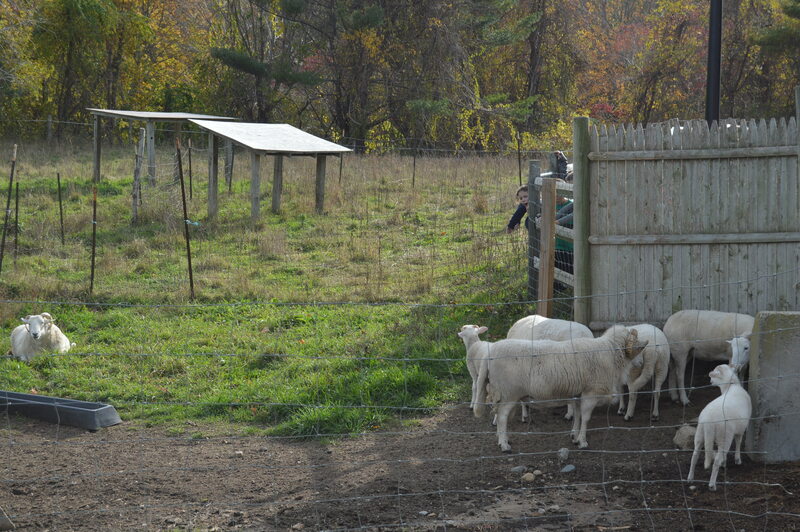 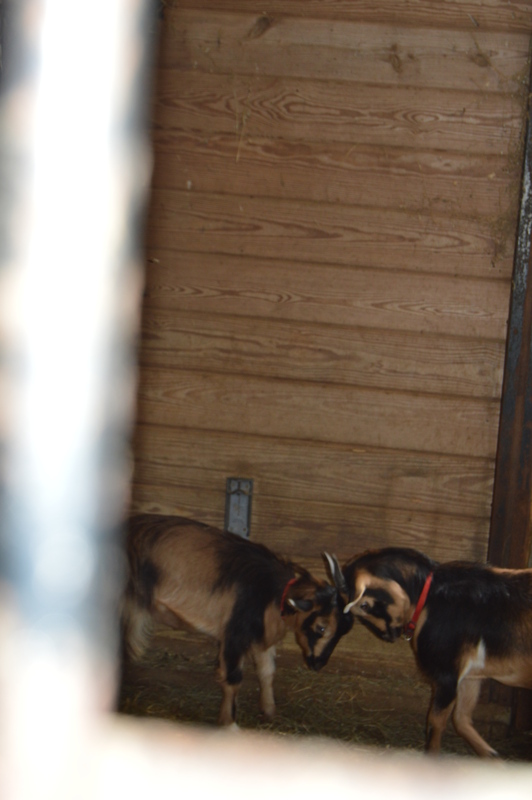 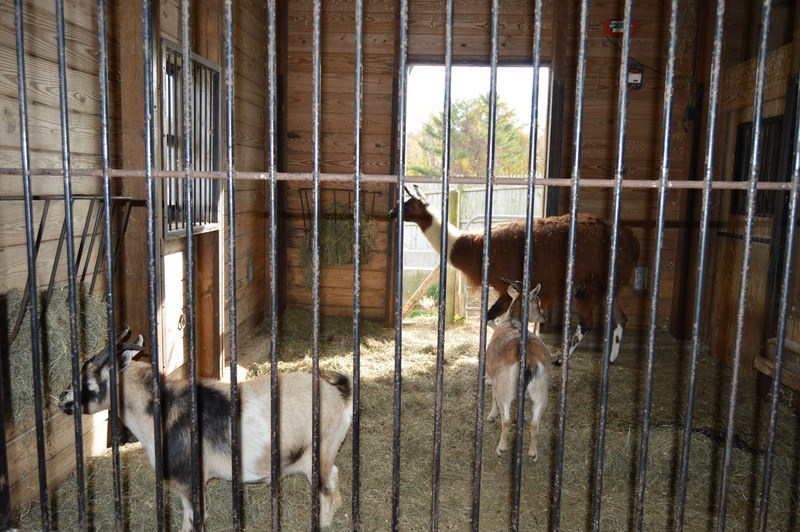 Plimoth Plantation has a limited amount of livestock. 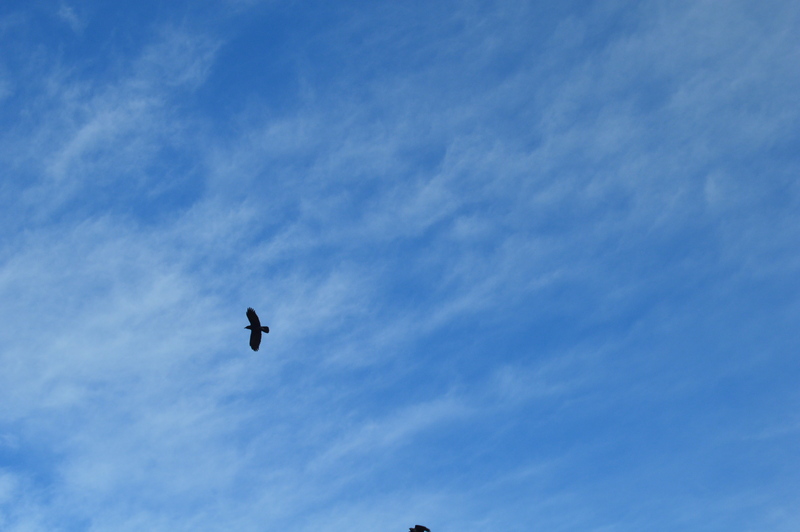 There is a bull and a hawk. 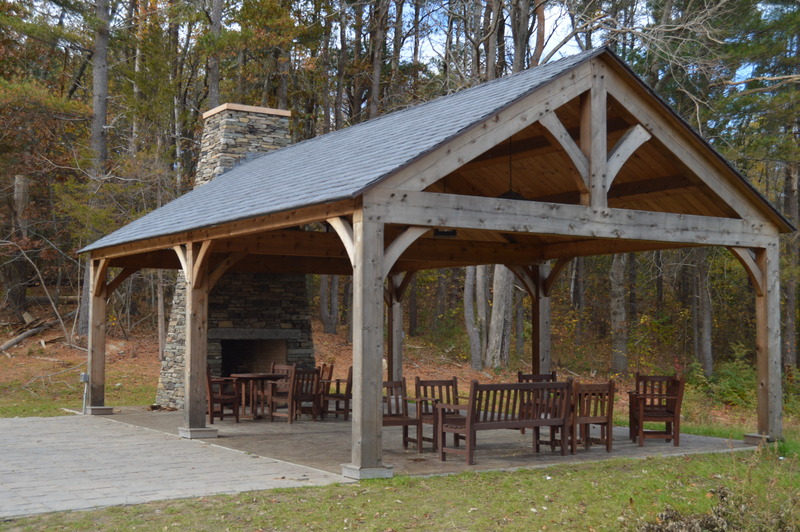 There is a dining and rest area outside of the plantation area. 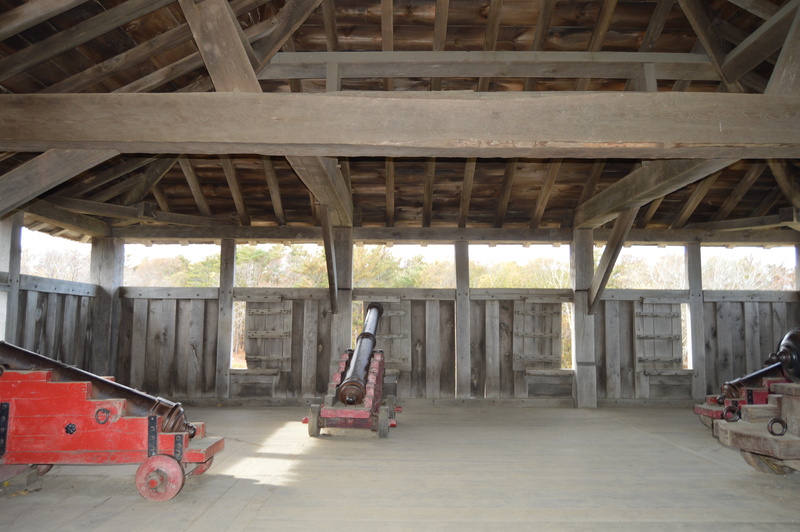 There is also Nye Barn located on the way out of the plantation.